We have a professional-quality recording facility, ideal for voice-over artists,tracking and some limited live recording. We currently have Multi Tracks Digital Recording capabilities, with an unlimited number of channels for further tracking and mixing. So we can record up to eight separate sources simultaneously and then as much overdubbing as required. If you would like to hear some examples of our Audio Productions go to Albums. We normally run recording sessions on most days between 11am and 5pm, but again, just drop us a line to discuss arrangements. All bookings need to be made in advance. Voice-only sessions can often be arranged as two-hour bookings. Deals may be available for longer-term projects. With regard to lower rates shown in some advertising, these are offered at our discretion and usually to unsigned artists in an effort to support aspiring musicians. Subsidized rates are intended to cover multi-day and on-going sessions to make larger projects more affordable. Drop us a line talk about your project and we'll make a plan to suit. If you record with us or even if you bring digital recordings to us from elsewhere we can take your project through the full process to finished audio master ready for replication onto CD. This may involve combinations of mixing, editing, and final mastering, but we could also potentially assist in more creative ways too, depending on what you are up to. Careful mixing and sensitive production work can bring out the best of your recordings, and small adjustments in the right places can make all the difference to your final mix. We focus on quality and attention to detail and believe it is worth spending some quality time to put your project into the best possible light. We are happy to do one-off sessions on a track, or if you have a larger scale project then we can talk about the best way to manage that in terms of time and cost and can negotiate deals for longer-term work. Standard rates for mixing and editing ( Please Call). Lower rates may be available for unsigned artists and lower budget projects. Fees for original compostion and sound design by negotiation. Drop us a line talk about it and we'll work something out. When your final mix is ready, whether music, speech or other sound design work, if you are aiming for professional replication and or broadcast you will need a properly prepared master. 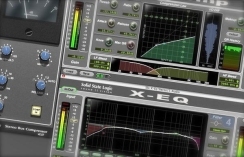 Mastering generally involves final equalisation, compression / expansion and levels in terms of the final sound, and then authoring a proper digital master file containing all the audio and meta data (including ISRC codes if you have them) required by the pressing plant to produce the final product correctly. Digital Audio Production onto CD-R We offer mastering to CD only (not to tape etc), and typically to amateur / semi-pro band or artist who wants a decent sound for their self-released / indie label record. If you need to spend thousands of pounds at a top mastering house because you are pressing a million units and your record is going to immediately go platinum then go for it. But if you are pressing a few hundred CDs to sell at gigs or to upload to iTunes, then we can probably help you get things into good shape for a lot less. If you would like to hear some samples, try Albums page as a starting point. When it comes to mastering we try to keep things simple and aim for quality, always looking to bring the best out of what you have created. 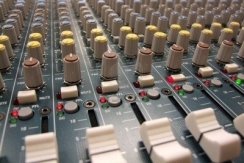 Digital production tools can offer tremdous scope when it comes to audio processing, but there is no substitute for a great performance that has been recorded well. 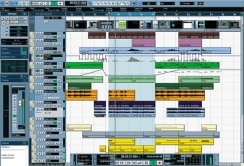 Mastering should be thought of as the icing on the cake - it is not a cure for a bad recording, poor mix or performance. If something is wrong at that level, it may need to be addressed at that level. If things have gone well up to this point, there should not be too much work to do at the mastering stage. Regardless of the final mix and the tools at your disposal you need good ears and some experience to get the best results from your work. Rates: Standard mastering rate (Please Call). Lower rates may be available for unsigned artists. Deals may be negotiable for larger or longer-term projects. if you are interested in having mastering done here. Sending Files If you want to send us a file for a no-obligation assessment for mastering you can send us a CD or data file through the post or we can arrange FTP transfer with you over the internet. Just Drop us a line to make arrangements. Along with our voice recording and audio production and editing services we can assist you with web design & graphic design for print and for the web. We can also help with domain name registration, web hosting, and web site maintenance. You'll find information and examples of our work throughout this website. Please feel free to contact us to discuss your project ideas.